Put on the Dell Pro Stereo Headset - UC150 and experience great audio clarity whether you're on a conference call or listening to your favorite music. Enjoy optimized in-person call quality and music clarity with HD wideband voice and a dynamic equalizer. UC150 works with most major unified communication platforms, and is Microsoft® Skype® for Business certified. 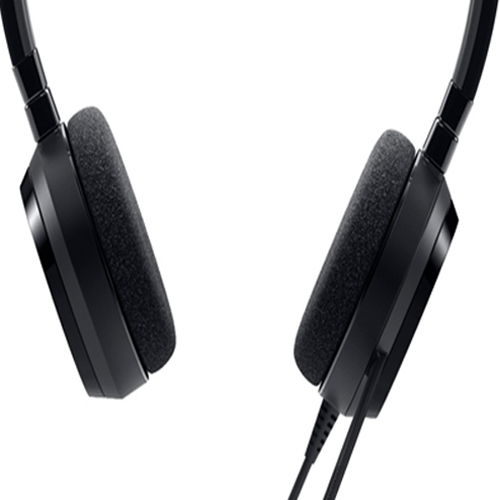 The Dell Pro Stereo Headset - UC150 features a built-in noise cancelling mic, so that only your voice will be picked up and not the surrounding background noise. Foam ear pads cushion your ears so you can listen in comfort. 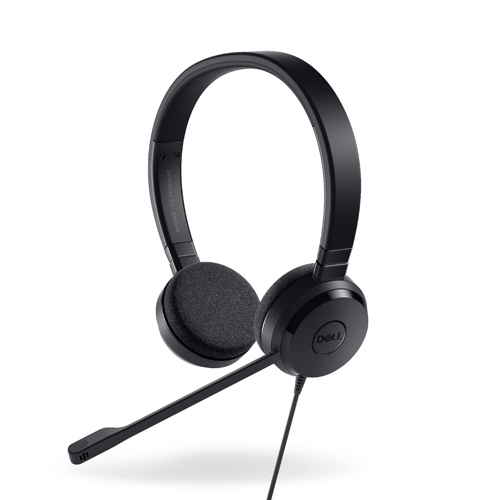 Tested and certified on Dell systems, the Dell Pro Stereo Headset - UC150 comes with Microsoft® Skype® for Business, so you can rest easy, knowing your new headset meets the highest specifications in the industry. Experience great audio clarity while you’re on a call or listening to music with the Dell Pro Stereo Headset - UC150 , certified for Microsoft® Skype® for Business. Enjoy optimized in-person call quality and music clarity with HD wideband voice and a dynamic equalizer . 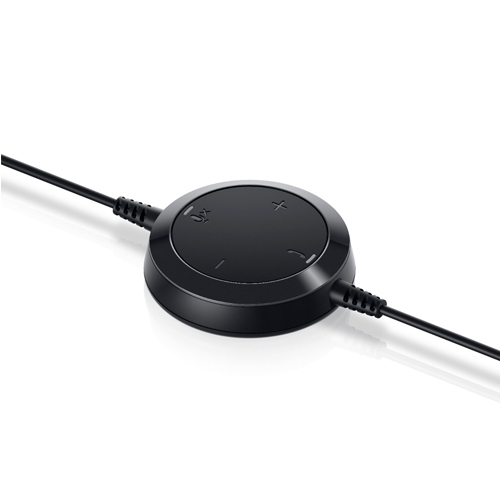 A built-in noise cancelling mic picks up only your voice and eliminates background noise. The most used call functions will be at your fingertips with the included control unit. You’ll be able to pick up calls, hang up, and control volume and mute functions with ease. Get started right away with plug and play, without needing to download software. Enjoy peace of mind knowing the headset is tested and certified on Dell systems.